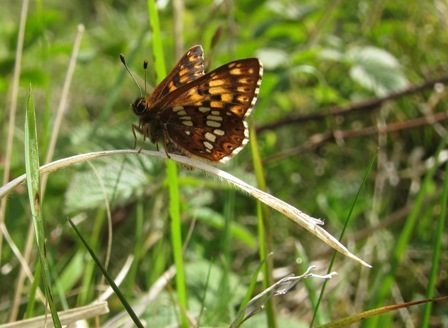 On a glorious June morning my one year old son and I spent a couple of hours at a site on the edge of the North York Moors watching Duke of Burgundy fritillaries. 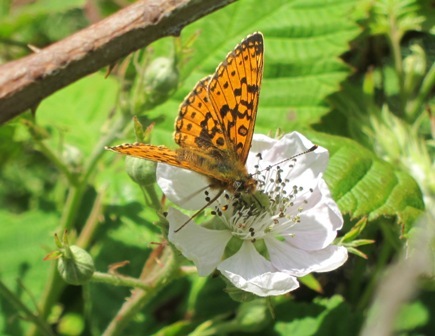 These rare little butterflies are only about an inch across and lay their eggs on primrose leaves. 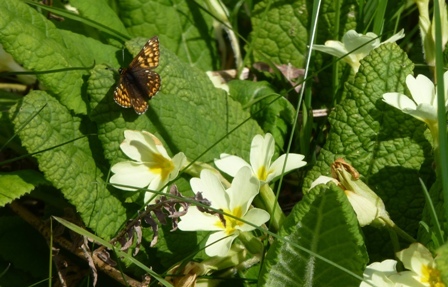 I very surprised to find the primroses at their flowering peak, a measure of how late this spring is. At least three male Redstarts were heard singing nearby. Add to this the sound of Curlews, a very beautiful place indeed. 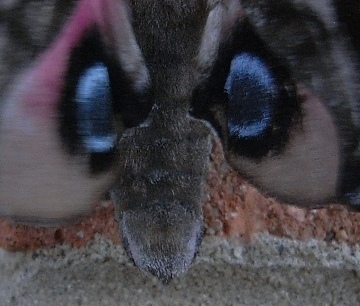 Eyed Hawk Moth- bird's eye view! 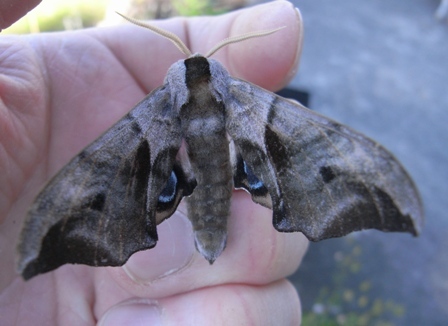 On the second night of testing my new moth trap which boasts a 125v mercury vapour bulb I caught this beautiful Eyed Hawkmoth. If attacked by a bird it reveals the blue eyes and rocks itself. This has been shown to be an effective deterrent against small birds. 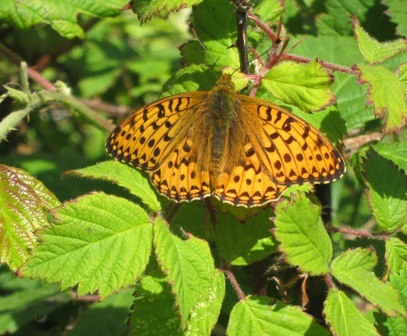 The caterpillars of this species feed on the leaves of wild and cultivated willows, sallows and apples. 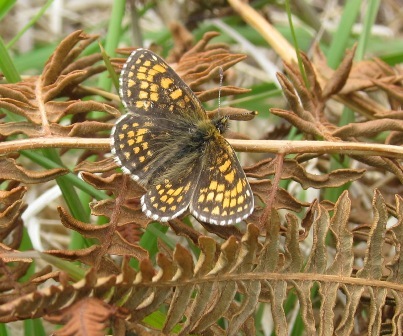 It is not uncommon in the Southern half of Britain, but extremely rare in Scotland. 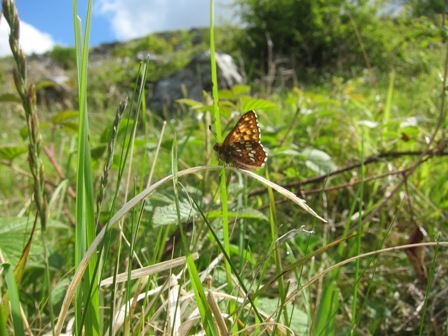 We are near the Northern edge of this species range here in North Yorkshire. 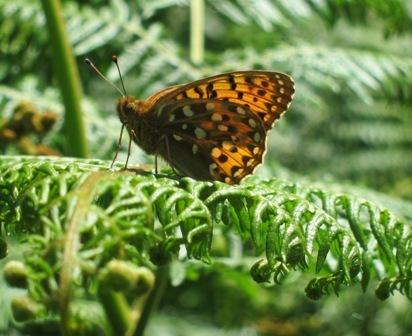 These gorgeous butterflies were seen during a family camping holiday last week. 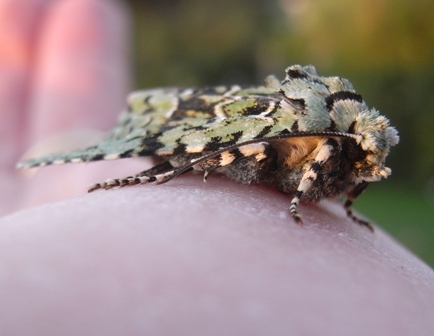 The Spectacle- a very distinctive moth with spectacle like markings above its real eyes. 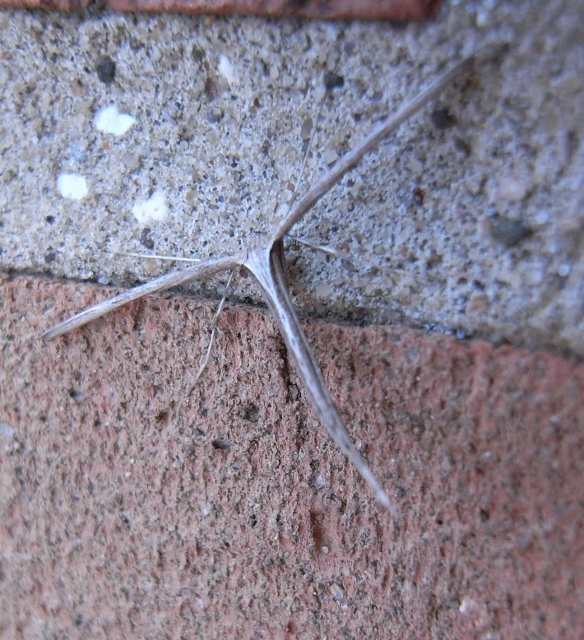 Buff Tip moth- camouflaged to look like a broken birch twig. 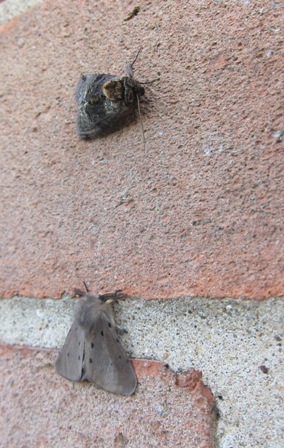 A nice selection of interesting but common moths by the outside light over the last two mornings. This morning we had an air frost. 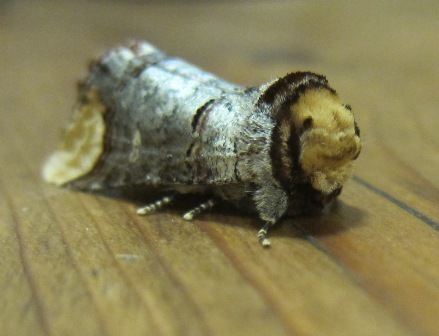 I found this beautiful moth by the outside light last night. 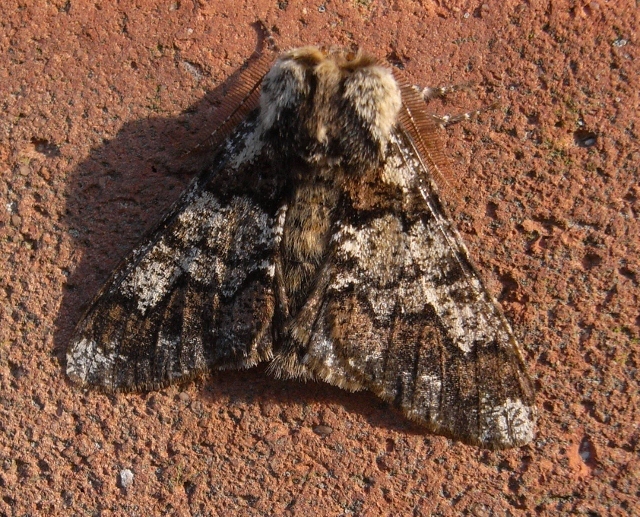 It is one of very few species which are able to fly during the coldest months of the year and I have read reports of Pale Brindled Beauties surviving being completely encased in ice. 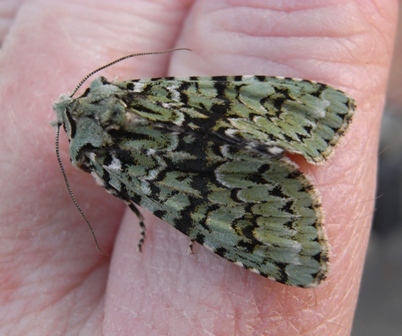 The other species likely to be seen at this time of year is the Winter Moth. 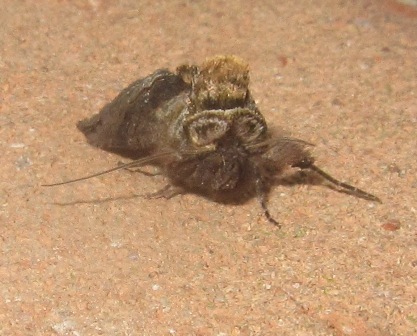 In both species the female is wingless. 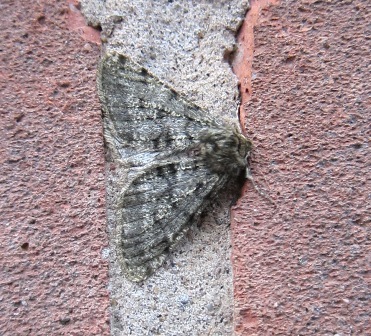 Pale Brindled Beauty- 2nd January.